Made from stainless steel, our CKK countersink bit was specifically designed for reaming sheath and holster eyelet holes. Our bit features the exact cutting angles needed for professional hole reaming on all forms of thermoform plastics, such as KYDEX®, HOLSTEX® and Boltaron. This simple tool is designed to fit standard cordless drill chucks, as well as drill press units. The hexagon shank eliminates chuck slippage and maximizes finish quality. 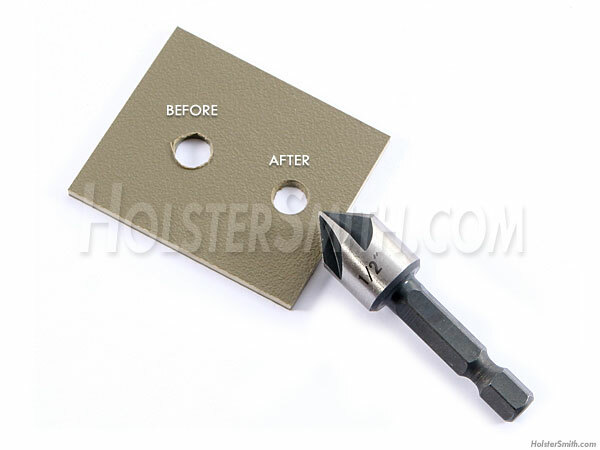 Proper eyelet hole burr removal is the mark of professional holster making. 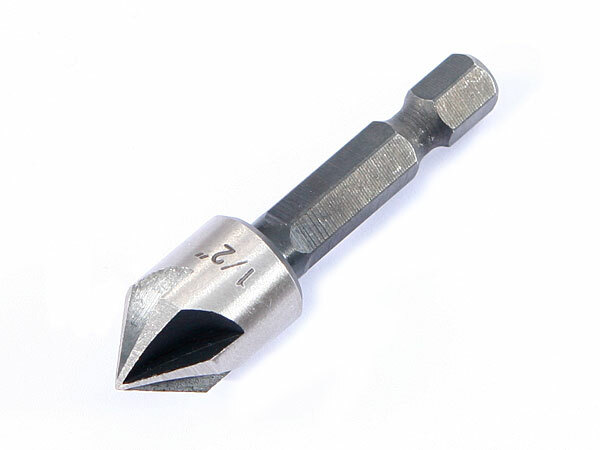 The CKK eyelet hole countersink bit is a secret weapon in many professional holster maker's arsenals. This inexpensive tool is extremely high quality and will last a lifetime.